News | Enhanced "Precision Toolset" for Meyer Sound LEO Family Boosts System Performance and Flexibility | Meyer Sound Laboratories, Inc. | Pacific Video Products, Inc.
Meyer Sound has expanded the “Precision Toolset” accompanying its LEO Family line array systems, adding proprietary Low-Mid Beam Control for assuring uniform front-to-back coverage and improving workflow for maximum efficiency in time-critical touring applications. 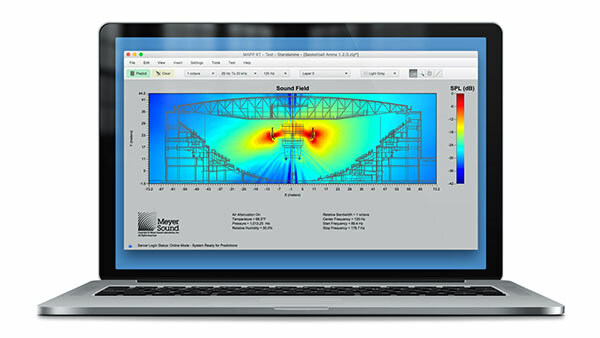 The “Precision Toolset” is implemented in the latest releases of Meyer Sound’s MAPP XT™ acoustical prediction program and Compass® control software for the Galileo® GALAXY™ network platform. Applicable to the entire LEO Family of loudspeakers — from the flagship LEO® to the compact new LINA™ — the enhanced components help ensure an optimum audience experience using scalable systems.